In the car this morning, I was brainstorming about recipes, which isn’t at all unusual for me. I thought about that new golden child of plant-based foodies, aquafaba. If you have never heard of the stuff, aquafaba is a fancy word that refers to the cooking liquid from chickpeas. Yeah, the same stuff most people just pour out of the can and down the drain. Did you know that stuff is like vegan gold? I know! While thinking about how I might exploit the wonders of aquafaba for my own personal gains, I wondered if I might use the stuff to make an egg-free mayo substitute. A short time after that, I was home and in the kitchen. Folks, I am truly excited about what I came up with, and I’m happy to share it with you all now. 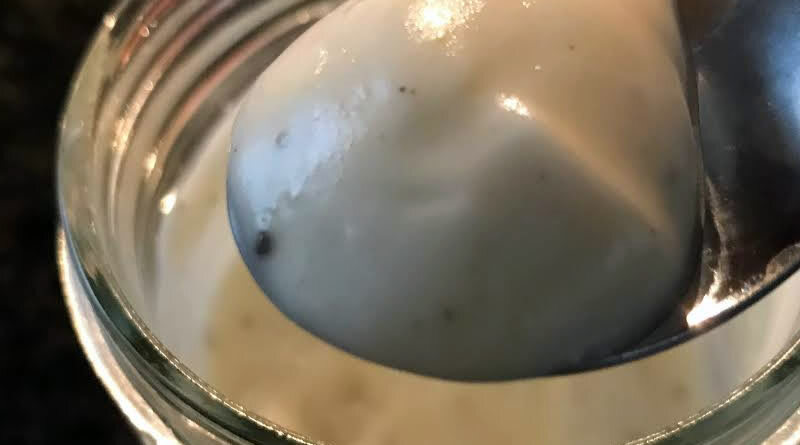 This 100% vegan plant-based mayo substitute can be made in under five minutes, and it tastes so much like the real thing you’re not going to believe it. You can use it exactly as you would traditional mayonnaise! * I use white vinegar, but you can also use any combination of white vinegar, apple cider vinegar, and lemon juice that equals 2 teaspoons. Add aquafaba and canola oil to a wide mouth jar (if using a stick blender) or to the blender jar (if using a regular blender). Add vinegar, sugar, salt, and mustard powder. Blend for about a minute, or until smooth and emulsified. NOTE: Before I posted this, I looked around the internet, and every recipe I saw for any type of mayo (including versions that use aquafaba) tell you to slowly drizzle the oil in while the blender is running. 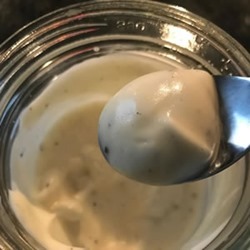 I remember how critical that point is to making traditional mayo, so I was nervous, but as an experiment I put everything in and blended it all at once. The results were perfect. I have all these ingredients in my kitchen as we speak – I must try this! People consider a plant-based diet for a lot of different reasons. This site is here to inform and encourage everyone to give plant-based foods a try, and to do it in a healthy and positive way. Whatever your reasons for being here, I welcome you. Please look around and feel free to send me questions anytime! Plant-Based Boot Camp is vegan food for people who don't like vegan food. To get your copy of the new cookbook, click "Buy The Book" in the menu bar at the top of the page, or find it at online booksellers such as Amazon. Copyright © 2019 Plant Based Boot Camp. All rights reserved.